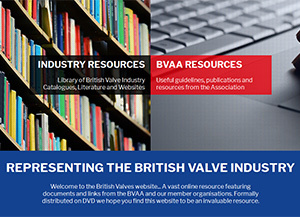 This unique library web site contains hundreds of company catalogues and product leaflets from over 200 of BVAA's members. Also included is an updated interactive Buyer's Guide, listing all the major suppliers of valves and actuators, their product ranges, brand and contact contact information, web links, etc. The web site includes many of BVAA's own publications and guidelines.